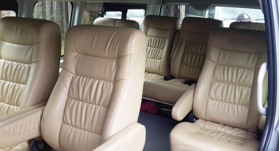 We have a well maintained and an up to date fleet of 20 Toyota vehicles, comprising of coaches seating 18-20 people and smaller vans seating 2 to 5 people. 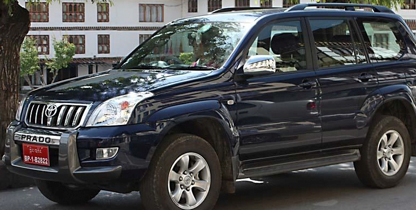 Our drivers are competent professionals with over 10 years of driving experience on the small winding roads of Bhutan. 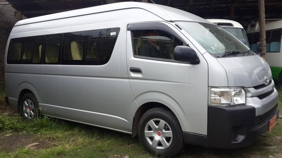 The original Hiace Bus is a 10 seater but for extra comfort the seats have been upgraded, more space created and comfortably seats 7 people (5 Guest + 1 local guide + 1 driver). For extra comfort the seats have been upgraded, more space created and comfortably seats 9 people (7 Guest + 1 local guide + 1 driver). 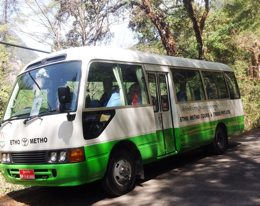 These buses are the biggest available in Bhutan. For extra comfort some of the seats have been removed to create more leg space and comfortably seats 20-23 people depending on the model (18-21 Guest + 1 local guide + 1 driver). Since the standard transport recommended by the Govt. 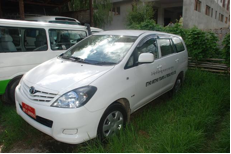 is a Toyota Hiace Van, there are very few Toyota Innova vehicles in Bhutan. 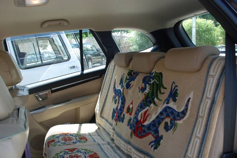 This vehicle is a 7 seater but for extra comfort it is used as a 4 seater (2 Guest + 1 local guide + 1 driver). This vehicle is a 5 seater but for extra comfort it is used as a 4 seater (2 Guest + 1 local guide + 1 driver). 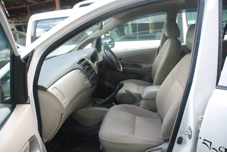 With its 4 wheel drive feature, this small compact SUV offers a perfect combination of luxury, comfort and safety. This vehicle is a 5 seater but for extra comfort it is used as a 4 seater (2 Guest + 1 local guide + 1 driver). 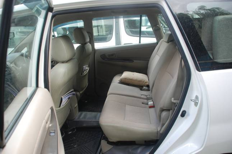 With its 4 wheel drive feature, this large spacy SUV offers a perfect combination of luxury, comfort and safety.